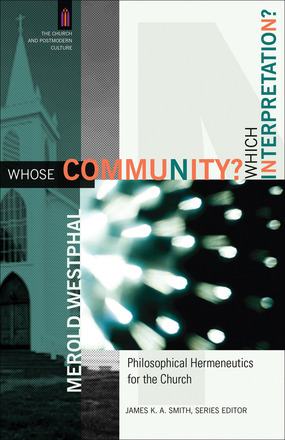 Merold Westphal: Whose Community? Which Interpretation? Merold Westphal, Whose Community? Which Interpretation? : Philosophical Hermeneutics for the Church, The Church and Postmodern Culture Series (Grand Rapids: Baker Academic, 2009) , 160 pages, ISBN 9780801031472. At last! A reliable and accessible book on philosophical hermeneutics for pastors, seminarians, and Christians, who may know little about the philosophy of interpretation. Merold Westphal is a distinguished professor of philosophy, postmodernism and ontological theology at Fordham University. In this book, he demonstrates that key lessons in the development of philosophical hermeneutics—from Frederick Schleiermacher to Hans-Georg Gadamer—can enrich Bible reading, whether studied professionally by a theologian, expounded orally by a church leader, or read devotionally by a Christian. Postmodern approaches to interpretation have led some to feel “hermeneutical despair” while the opposite extreme could be described as “hermeneutical arrogance,” those that believe pure truth can be received without mediation. Westphal’s nuanced treatment will help Christians navigate between such despair or arrogance, and because of that, Whose Community? Which Interpretation? “is a gift for the Church” (p.11). Westphal explains there is a myth that goes like this: to read the Bible “plainly” is to read it correctly, but those that “interpret” the Bible read it incorrectly because their methods predispose them to a subjective bias. 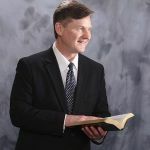 However, can a reflective reader really preserve the objectivity of the biblical message yet ignore the mediatory role and pre-understandings they brings to the text? In reality, because we are finite beings, we will not have infinite and total knowledge. Westphal shows that from Schleiermacher, a reader will approach texts with presuppositions, and often these assumptions are fed to us from our “hermeneutical circle.” We have to learn to hear the author, including their psychological state, and not just the subject. We have also to learn to see how the different context is dependent on the larger contexts. From Dilthey, we learn that rules help overcome some levels of subjectivity in our readings although many scholars remained critical about any supposed “universal validity of objective/scientific” methodology. From continental philosophers (like Heidegger, Riccoeur and Gadamer), we learn that, to a large extent we are all relativistic in our interpretations: we never interpret “out of nowhere” but from our respective “locations” (not limited geographically), and even at conversion, we read texts from a prior location of “somewhere” ideologically to another ideological position “somewhere else” (p.36). These locations are what philosopher Hans-Georg Gadamer calls, “our throwness – the immersion and formation of our consciousness and pre-understandings” (p.70) and “historically-effected-consciousness” (p.74), and in which as readers, we later introduce “a fusion of horizons” (p.107) into our readings, drawing from our respective traditions and backgrounds as well as the many other horizons that interface with our interpretation (ch. 6). I will return to Westphal’s review of Gadamer shortly. 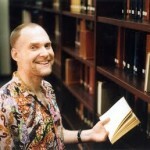 From Reformed philosopher Nicholas Wolterstorff’s reading of J. Austin’s speech-act theory, we learn that language is a performance subjected to moral and legal norms operating under certain circumstances, so while we may arrive at a fixed authorial meaning, we cannot necessarily conclude towards an authorial intent. About the Author: Timothy Teck Ngern Lim, M.Div. 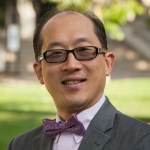 (BGST, Singapore), Ph.D. (Regent University), is a Visiting Lecturer for London School of Theology and Research Tutor for King's Evangelical Divinity School (London). 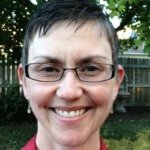 He is on the advisory board of One in Christ (Turvey) and area book review editor for Evangelical Review of Society & Politics. He is an evangelical theologian ordained as a Teaching Elder with the Presbyterian Church (U.S.A.). He has published in ecclesiology, ecumenical theology, and interdisciplinarity. A recent monograph published entitled Ecclesial Recognition with Hegelian Philosophy, Social Psychology, and Continental Political Theory: An Interdisciplinary Proposal (Brill, 2017).